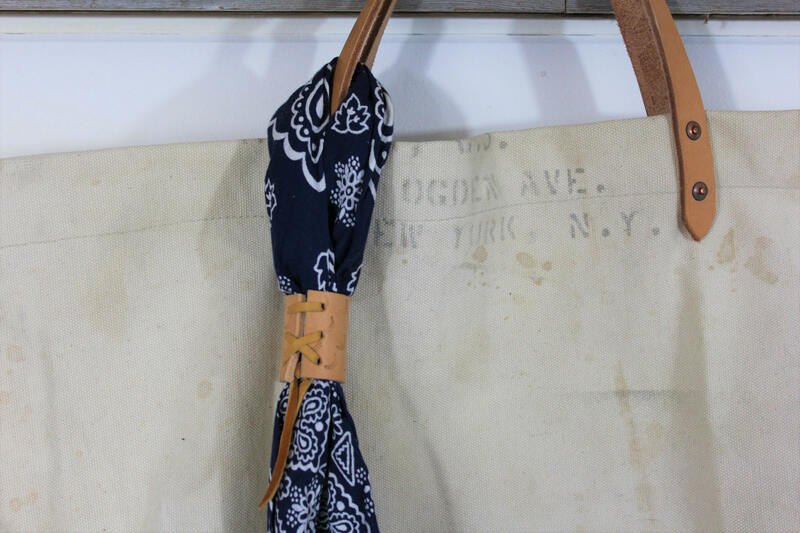 We took a vintage 1950s Navy Bandana and wrapped it with a vegetable tanned leather sleeve. 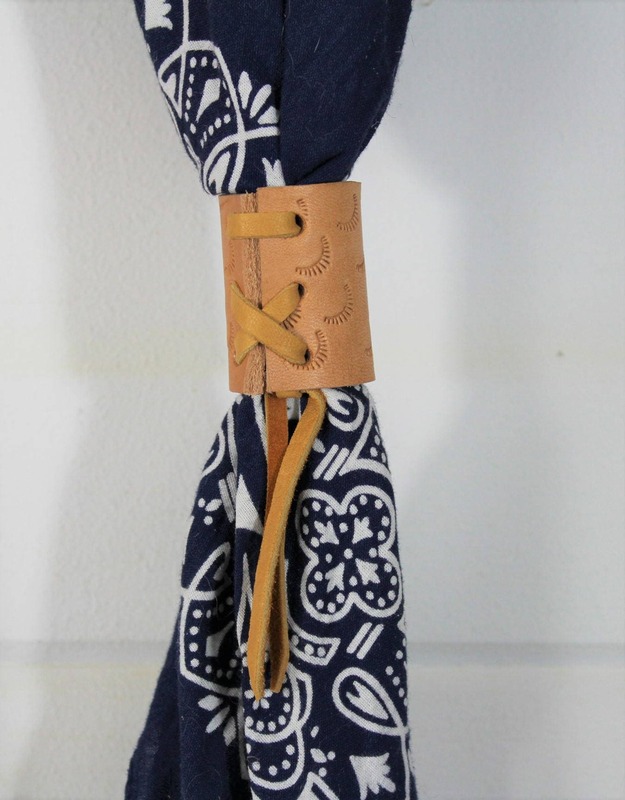 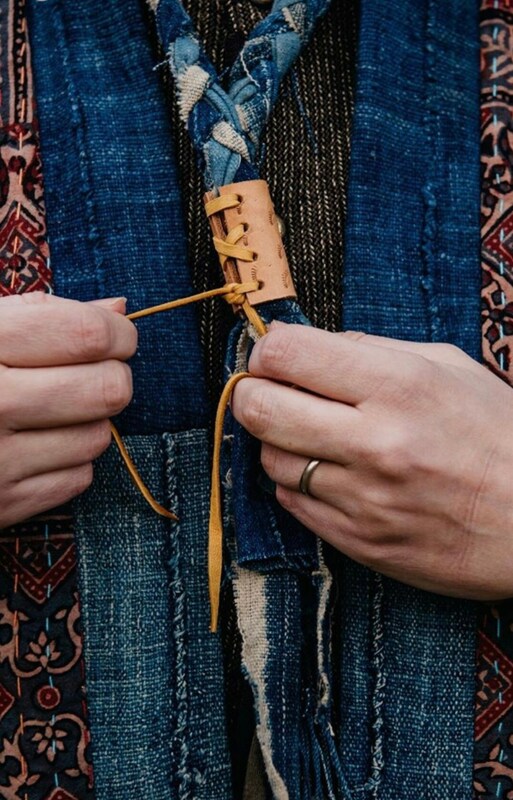 The sleeve is hand tooled with a Southwestern motif and has a Deerskin lacing in the front. 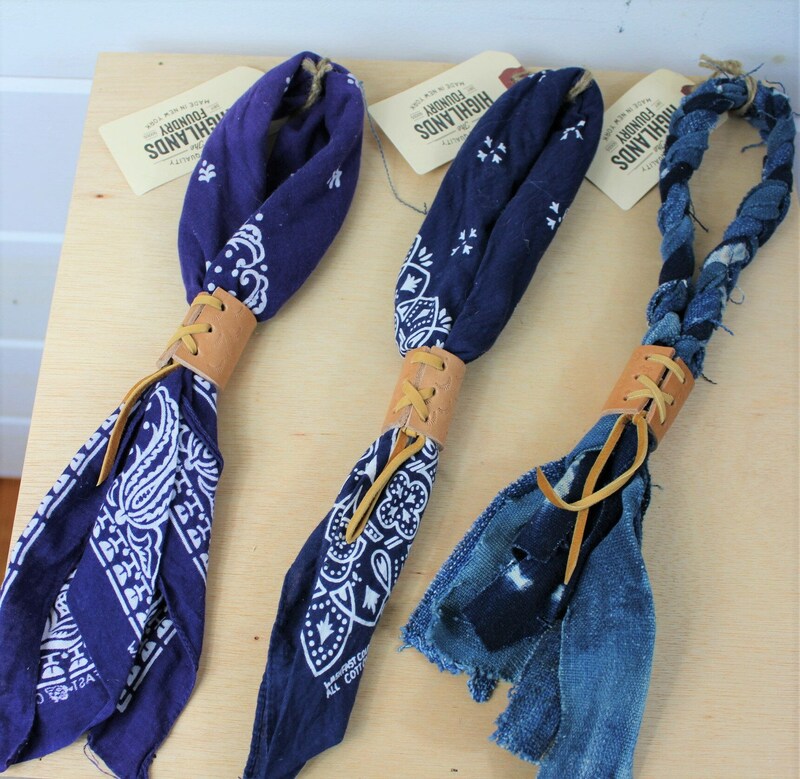 Most of the bandanas we use are Elephant Trunk up Bandanas from the 1950s which are authentic Cowboy bandanas. 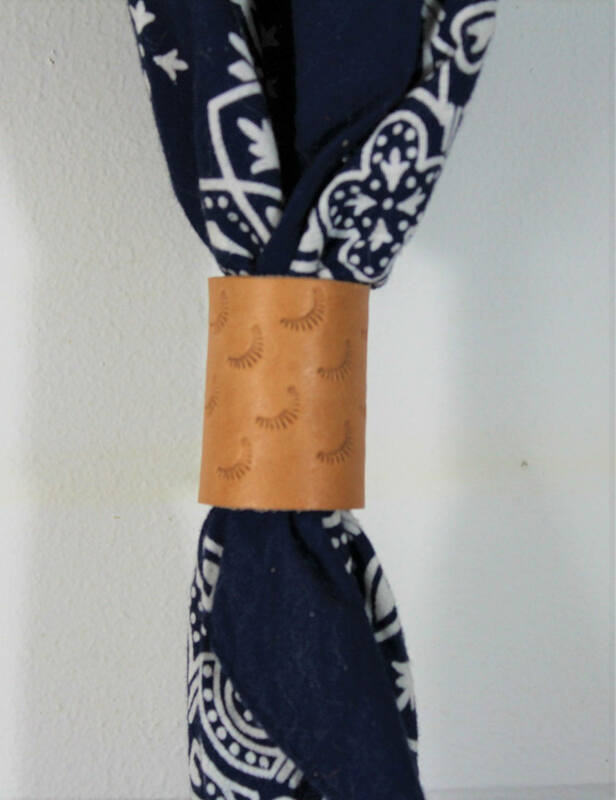 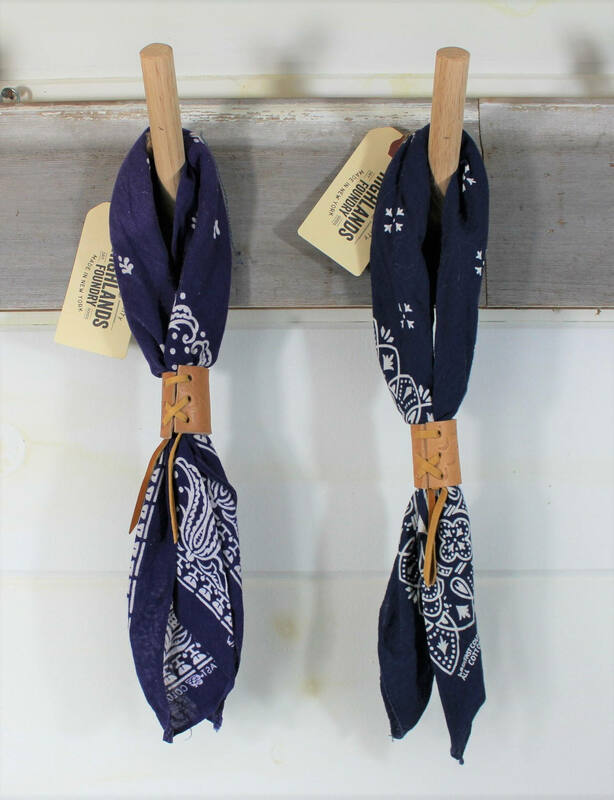 These neckerchiefs are unisex and can be worn around your neck or put on a bag for an added vintage detail. 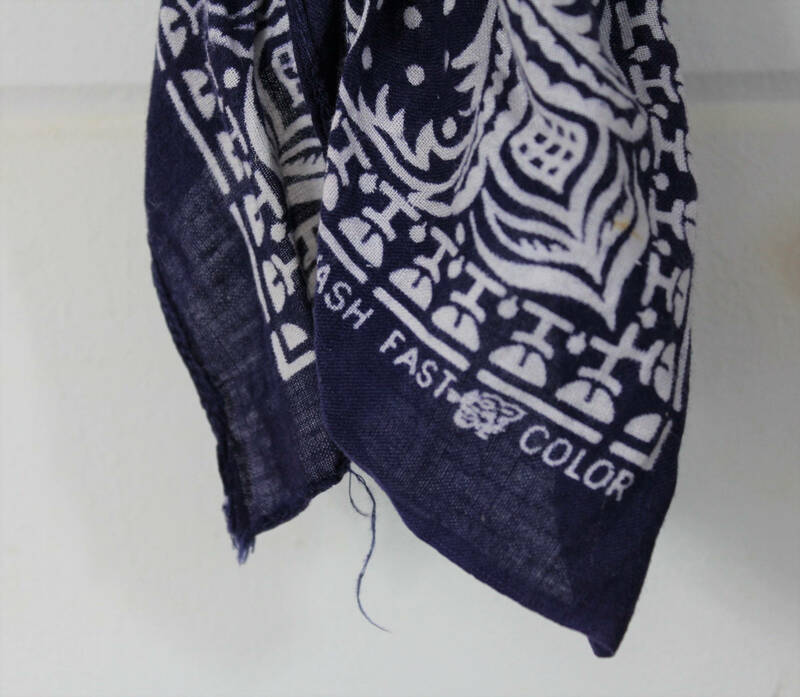 To put on you just pull the sleeve down and put over your head, then push back up. 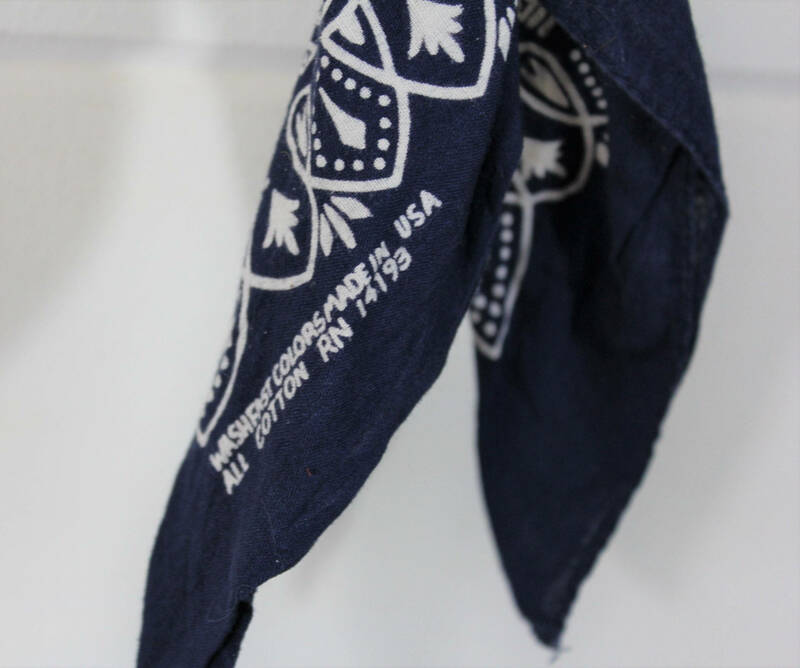 The bandanas have all been washed and each one is slightly different in pattern.